MIAMI — Hurricane Oscar strengthened Monday, but forecasters said the storm is curving away from land over the Atlantic Ocean. 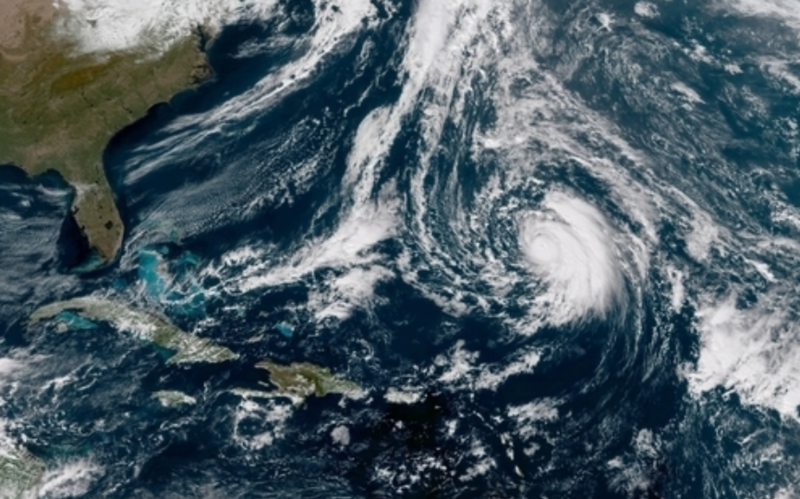 Oscar was centered about 590 miles southeast of Bermuda, with top sustained winds of about 85 mph, the National Hurricane Center said in its latest advisory. The storm was moving to the west-northwest at 7 mph. Forecasters said Oscar has slowed down as it starts to turn north. By Tuesday, the storm is expected to start speeding north-northeast over open waters. No coastal watches or warnings are in effect. Oscar is the eighth hurricane of the six-month Atlantic hurricane season that ends Nov. 30.